I was hesitant (for about 3 seconds!) 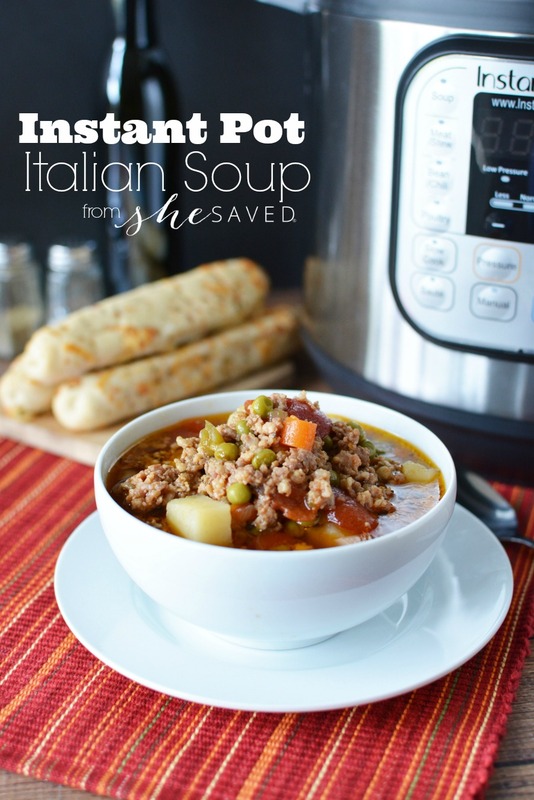 to share this Instant Pot Italian Soup recipe as we approach summer, but the truth is, we love this type of soup this time of year. 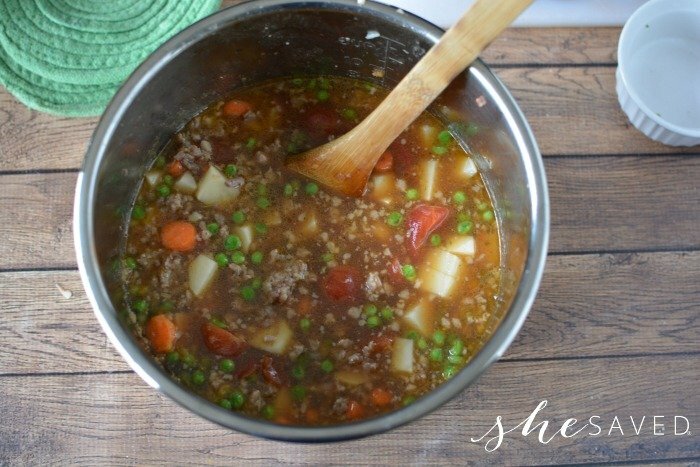 It’s almost a bit like a stew, but we call it a soup… call it whatever you want, it’s delicious!! 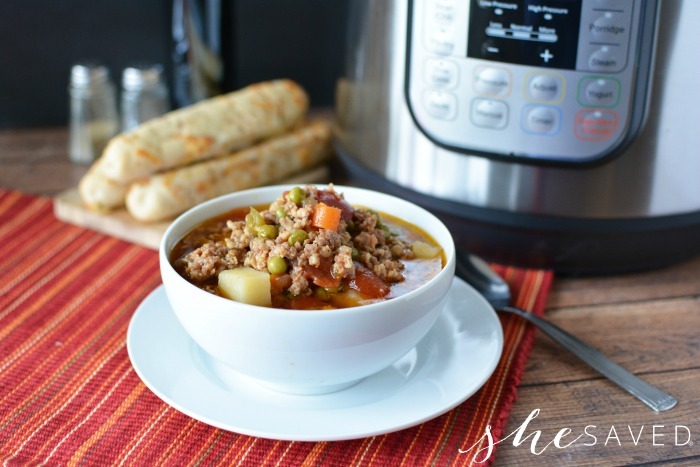 I’ve been cranking out the Instant Pot recipes lately! Last week I shared with you my Instant Pot Brown Sugar Glazed Chicken recipe and the week before that it was the Instant Pot Sloppy Joe recipe. I’m finding that these Instant Pot Recipes come in really handy all year long, and are a great way to keep meal prep easy and save a little bit of sanity too! 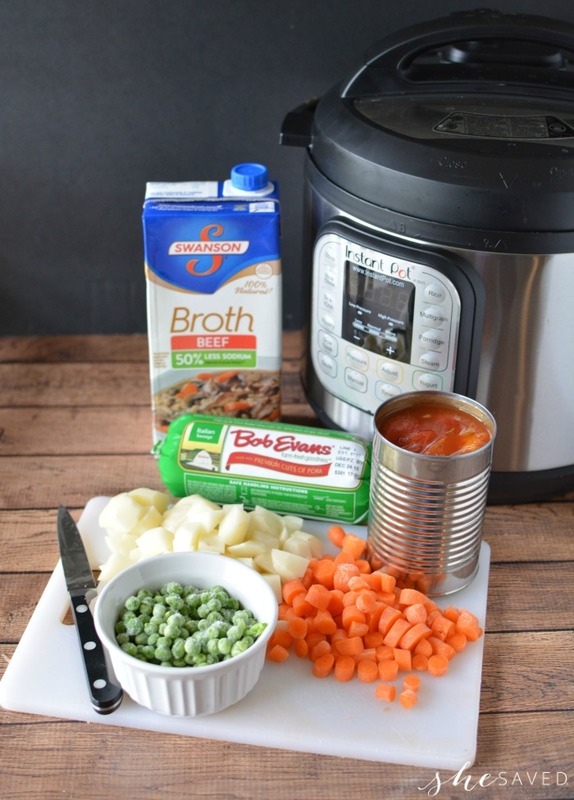 These Instant Pot recipes are also pretty easy on the budget, and they leave me with lots of extra time to get other things done! 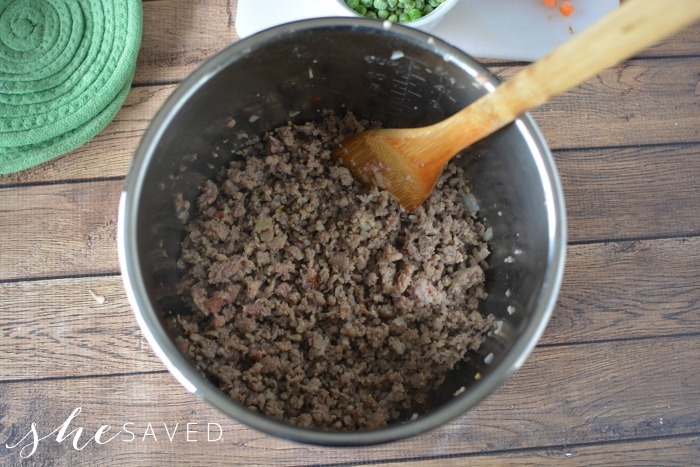 Turn the instant pot on sautee and add the sausage and onions with the lid open. Cook until sausage is brown and onions are transparent. 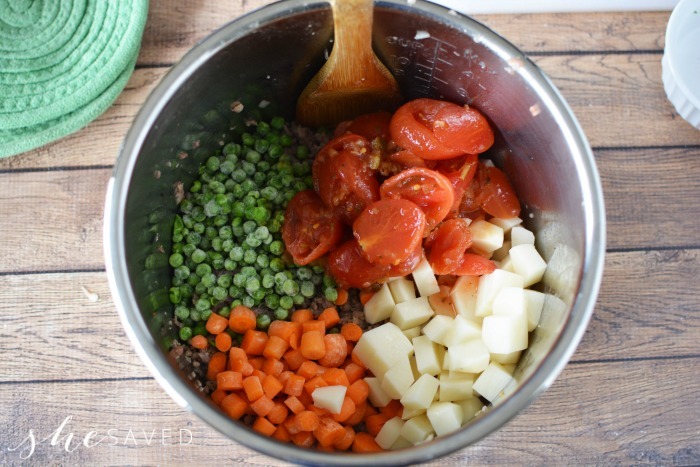 Add peas, carrots, potatoes and tomatoes to the pot. Pour in broth. Stir to mix well. 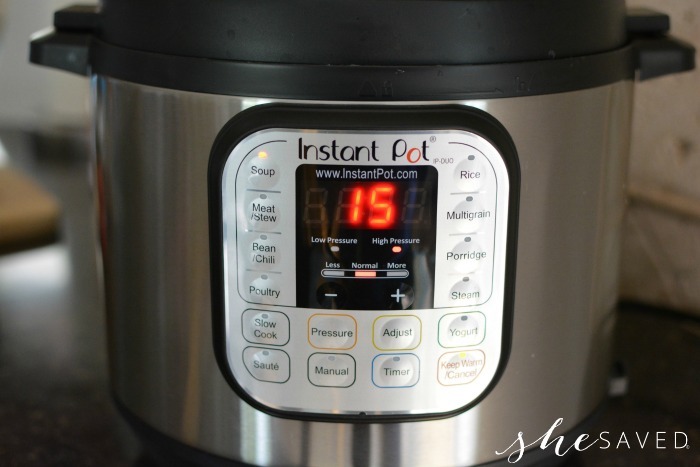 Turn the instant pot on the soup function for 15 minutes and close the pressure switch. Once the cooking cycle is complete, quick release the pressure. 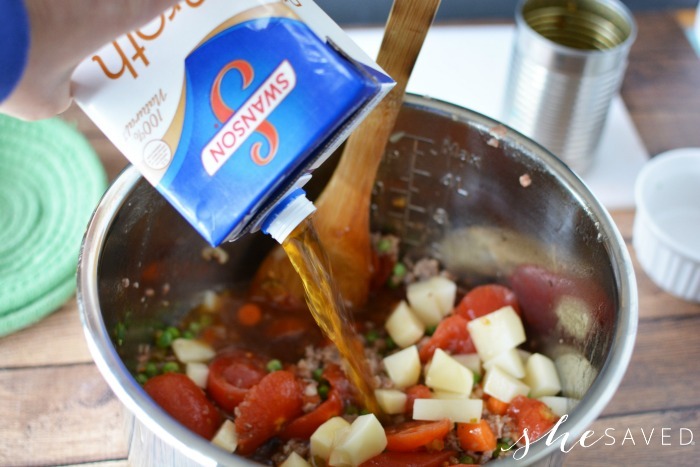 Remove the lid and serve the stew. 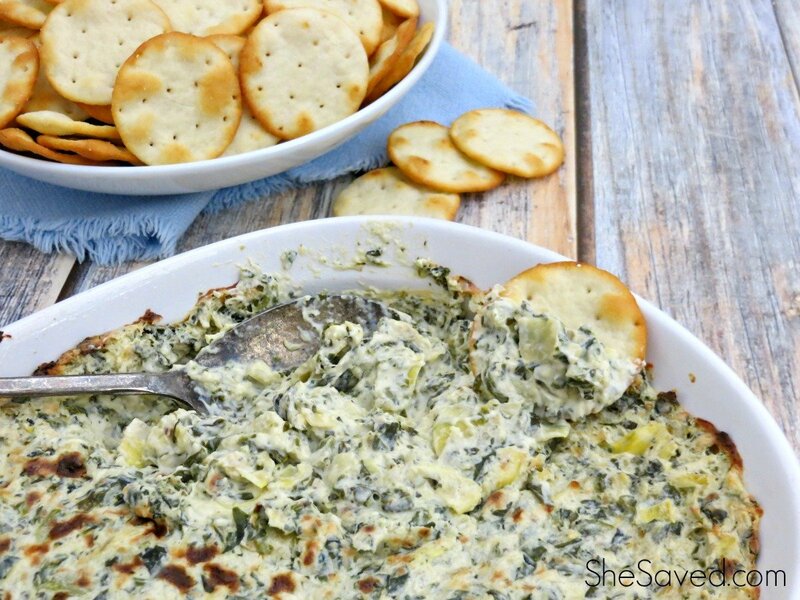 I also like to add kale to this recipe from time to time, it gives it a little different flavor and adds some nice nutrients. 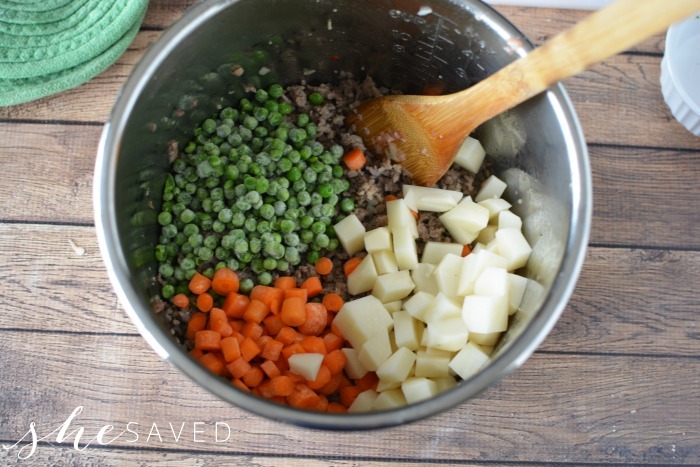 DO you have to use an instant pot? if not how long does it take to make in aregular pot on a stove top? That's awesome how fast it cooks in the instant pot and it looks so good! Thanks for sharing at Merry Monday. 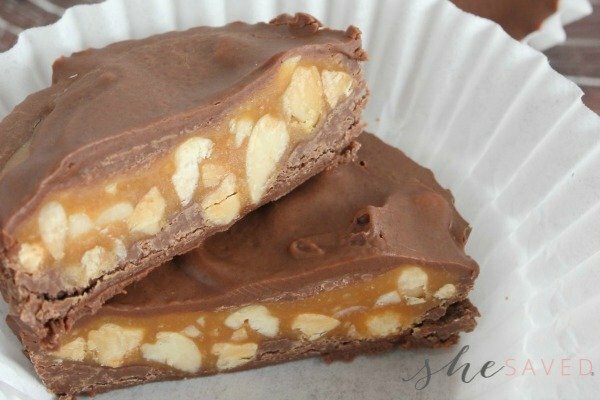 This looks like such a yummy recipe. It has sausage which I really like and all those yummy veggies. For a richer flavor use "FIRE ROASTED TOMATO'S".